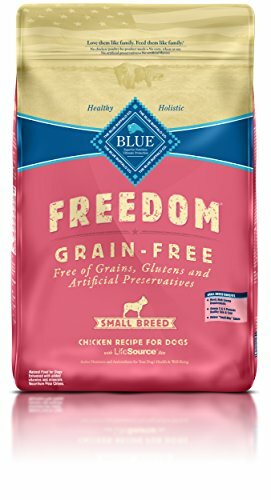 BLUE Freedom is a delicious, 100% grain-free formula that contains no gluten. All Freedom recipes feature high-quality real meat and no chicken or poultry by-product meals. Freedom small breed formulas feature the right blend of protein and carbohydrates to meet small breeds’ higher energy needs, plus “small-bite” kibble to help smaller dogs with chewing and tartar removal. BLUE Freedom is a product of the Blue Buffalo company. Based in the United States, Blue Buffalo makes premium-quality pet foods featuring real meat, fruit and vegetables. 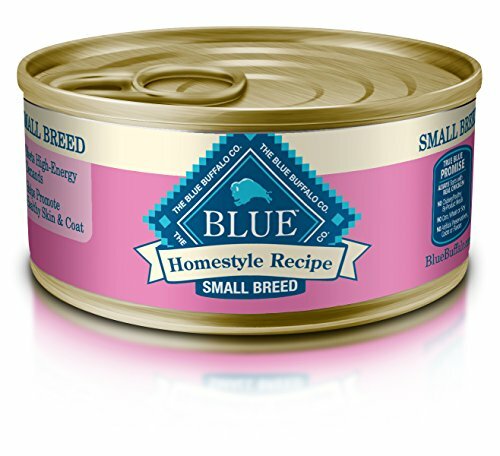 BLUE Wilderness Small Breed Chicken Recipe is made with more of the meat dogs love and formulated to meet the unique nutritional needs of smaller dogs. This Grain Free recipe features a unique kibble size ideal for smaller jaws and a precise balance of carbohydrates and calories to meet a small breed’s energy requirements. BLUE Wilderness is a product of the Blue Buffalo company. Based in the United States, Blue Buffalo makes premium-quality pet foods featuring real meat, fruit and vegetables. 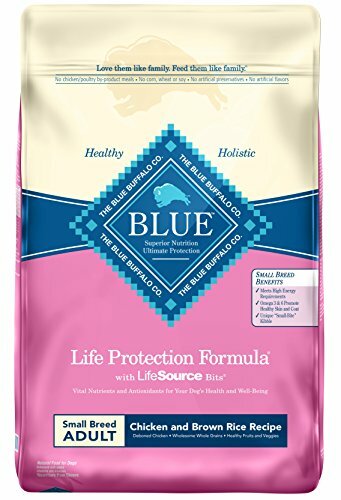 Because the nutritional requirements for senior dogs are different from other life stages, BLUE Life Protection for Senior Dogs features the ingredients to support their overall health and well-being and is also formulated to meet the specific needs of small-breed dogs. It contains the ingredients you’ll love feeding as much as they’ll love eating. 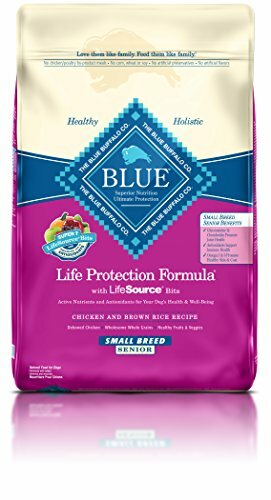 BLUE Life Protection Formula is a product of the Blue Buffalo company. Based in the United States, Blue Buffalo makes premium-quality pet foods featuring real meat, fruit and vegetables. 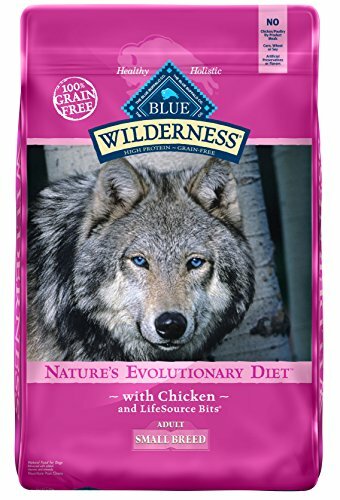 Blue buffalo wilderness dry puppy food inspired by the diet of wolves, true omnivores whose endurance is legendary, blue wilderness puppy is a grain-free, protein-rich food that contains more of the delicious chicken your puppy loves. Formulated specifically to help meet the important needs of growing puppies, blue buffalo wilderness dry puppy food benefits brain and eye development. DHA, an important fatty acid found in mother's milk, supports cognitive development and retinal function. High-Quality protein from delicious deboned chicken, plus chicken meal, turkey meal and egg helps support healthy muscle growth and build strong muscles. An optimal blend of calcium, phosphorus and essential vitamins helps maintain healthy bone growth. Unique small-bite kibble is the perfect size for smaller jaws and is shaped to promote tartar removal. The optimal balance of omega 3 & 6 fatty acids helps promote a shiny coat and healthy skin. Essential vitamins, chelated minerals and important antioxidants help support the immune system. BLUE Divine Delights are small in size and big on flavor. Delight your small breed with our scrumptious, single-serve entrées in two divine flavors, including Filet Mignon Flavor and New York Strip Flavor in Hearty Gravy. Both naturally flavored cups feature real Beef. Because puppyhood is such an important stage in any dog’s life, BLUE Life Protection Formula features ingredients that support the healthy growth and development of small-breed puppies. It contains the ingredients you’ll love feeding as much as they’ll love eating. 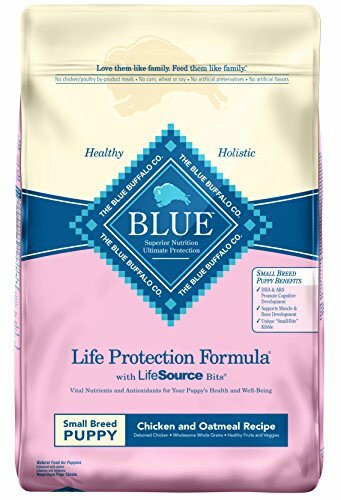 BLUE Life Protection Formula is a product of the Blue Buffalo company. Based in the United States, Blue Buffalo makes premium-quality pet foods featuring real meat, fruit and vegetables. We love our dogs and cats like family so we want to feed them with the same care as family. That's why BLUE is made with only the finest natural ingredients. 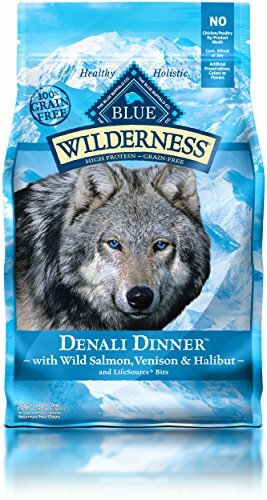 Inspired by the rugged terrain of the Alaskan frontier comes BLUE Wilderness Denali Dinner. 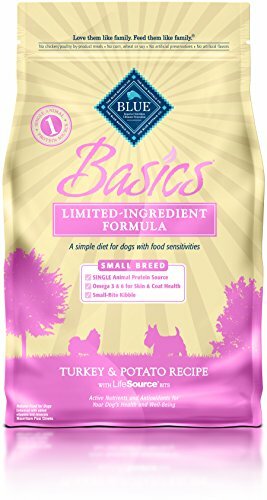 Made with a tantalizing blend of wild salmon, halibut and venison, this high-protein, Grain Free diet is ideal for pet parents who want to bring variety to their best friend’s bowl and is suitable for dogs of all ages and breed sizes. BLUE Wilderness is a product of the Blue Buffalo company. Based in the United States, Blue Buffalo makes premium-quality pet foods featuring real meat, fruit and vegetables. 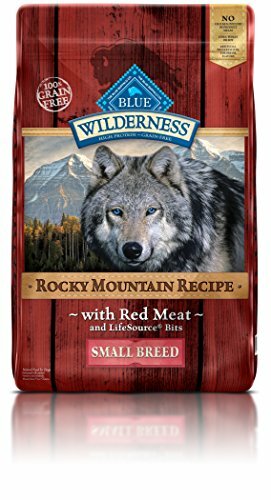 Compare prices on Blue Buffalo Dog Food Small Breed at ShoppinGent.com – use promo codes and coupons for best offers and deals. Start smart buying with ShoppinGent.com right now and choose your golden price on every purchase.